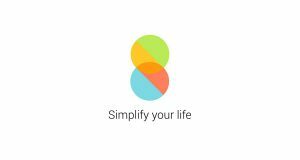 Best 8 Features of MIUI 8 that are very useful !!!! Do You know what’s New in MIUI 8 ? Let’s Find Out!!!! Xiaomi had an event on 30th June 2016 in New Delhi where they announced MIUI 8 along with Mi Max. MIUI 8 comes with whole new features and updates. MIUI 8 public stable release will ship on 16th August. 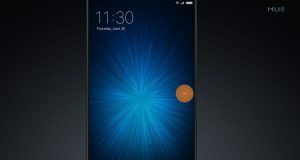 You can download MIUI 8 developer ROM from miui.com. Wanna Know Whether your device will get MIUI 8 ? We will be dropping a list below. So check that out!!!!!! You can now add category to your images for better representation based on size/resolution including a landscape layout for panoramas and portrait for screenshots. It will also allow users to add filters, stickers and crop their images and also be able to doodle on images, edit videos directly in the app with filters, captions and music. 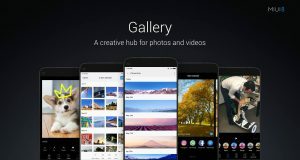 The new Gallery app on-board the MIUI 8 will allow users to take a nifty screenshot scrolling feature that allows for multi-screen scrolling screenshots and editing them further. You can now use Quick share just by swipping up. Xiaomi included a new feature called Dual Apps. This is basically what we are using from past one year with third party apps like parallel space and many more!!! 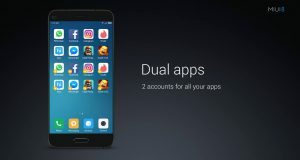 Inclusion of Dual App feature in MIUI8 will allow users to run two different accounts of the same app, like WhatsApp, Facebook, Instagram etc. It also brings in a second space feature that allows for separate home and professional work. With MIUI8 Xiaomi manage to put a accessiblity feature much like Apple’s Assistive Touch. Xiaomi called Quick Ball. It helps in making one- handed operation easily. It is a combination of gestures that can be customizable according to users needs. It can be directly accessible from lockscreen. Quick Ball can be placed anywhere on the screen, and is aimed at giving users quick and easy access to apps they use frequently. Second Space is nothing but having two accounts on a phone with different data, app, gallery spaces inaccessible to each other. Users can have two different logins in the same smartphone. Which means like a desktop, users can have two different system accounts, with different passwords and different user data. It’s like two phones in one. 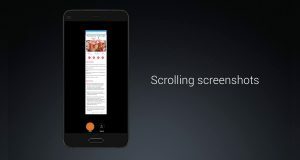 Long screen capture is possible in MIUI 8. The Samsung Note users are using this feature from quite some time. Both are same but application is somewhat different. The standard screenshot captures the screen which is only visible but long screen capture can easily capture 4-5 pages and processes it as a single image capture. It adds productivity and let’s see if users uses this feature on daily basis. 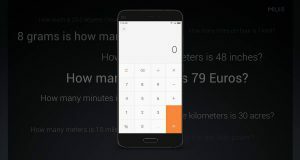 A new Advanced calculator app is also designed for MIUI8. Users will no longer need to Google for conversion of weight, currency or temperature. New Calculator app with support for currency/weight conversions and advanced calculations can do everything for you. he Calculator app in the new OS iteration comes integrated with various conversion scales and much more!!! The pull down notification panel now has a consolidated list and a weather panel at the top that automatically changes colour (and animation) according to the weather. Moreover, the colour changing status bar and animations have been incorporated in other apps across the user interface as well. 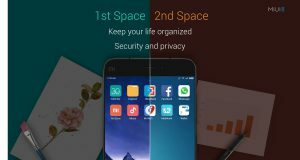 MIUI 8 Wallpaper Carousel feature will allow users to access high-quality daily lock screens consisting of up to 12 categories. 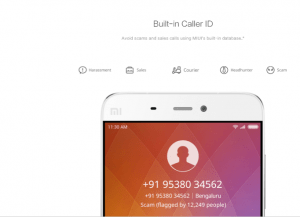 Xiaomi smartphones would be able to identify the caller with crowd sourced information. There is also support for identifying numbers from Amazon, Swiggy, Dominos, Zomato reps now with MIUI8. allowing you to take action with just one tap. SMS app will also have action shortcuts integrated within them. MIUI intelligently formats SMS messages from businesses and services so they’re easier to read. Should you consider buying Eluga Note by Panasonic ?